Quick Thoughts: 30 ROCK, "Grandmentor" and "Kidnapped by Danger"
I'm going to have keep this fairly short. Between the two episodes, I liked "Grandmentor" a little more than "Kidnapped by Danger" because it focused on the Liz/Jack relationship which has been placed on the back burner during the last couple of weeks. It's just too bad that they had to bring Hazel into the middle of it because Kristen Schaal's shtick works best in animated form. "Kidnapped by Danger" was OK, but I wasn't a huge fan of the show bringing Mary Steenburgen back because for some reason Jack hooking up with his mother-in-law is creepier than him being married to a younger woman. At least idea of turning Avery's abduction into a television movie was worth a few laughs. There was also a little too much Jenna, Tracy and Kenneth but what else is new. 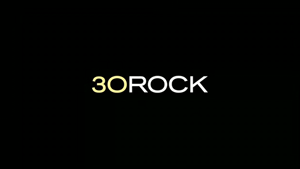 Overall, two pretty good but not perfect episodes of 30 Rock which I'll take any day of the week.